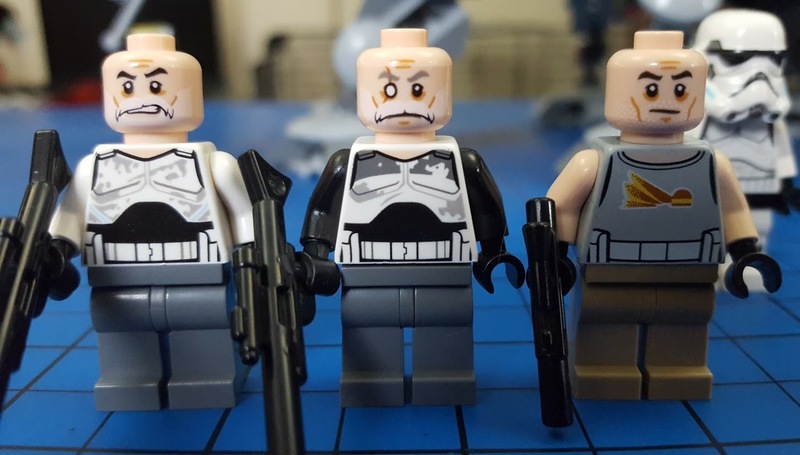 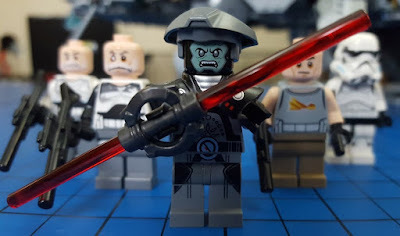 There are 5 minifigures in this set, which is based on characters and the AT-TE from Star Wars Rebels. 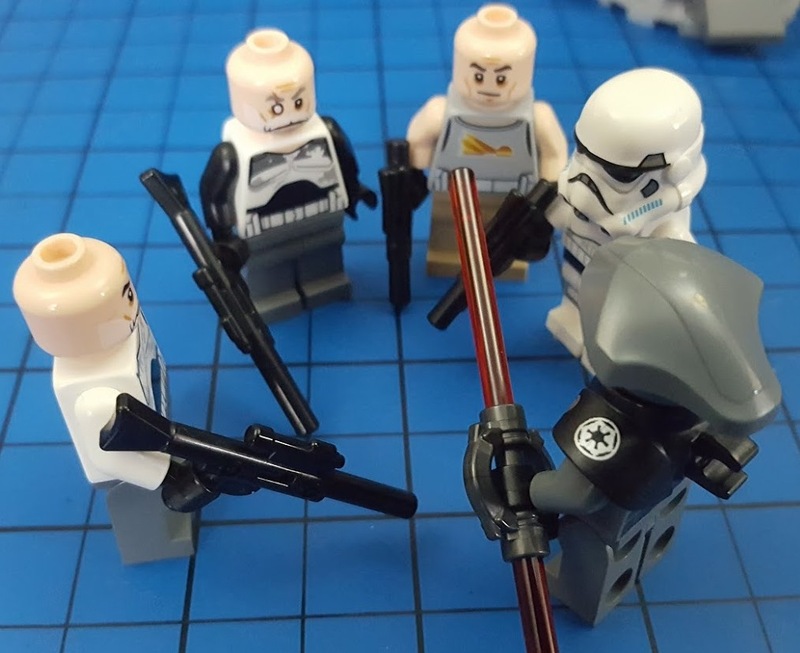 Captain Rex, Commander Gregor, Commander Wolffe, Imperial Inquisitor Fifth Brother and a Stormtrooper. Noteworthy are the very delicate epaulette's and the rotating Light Sabre hilt (sadly doesn't actually spin), and the now elderly Clone Troopers with their grey moustaches. 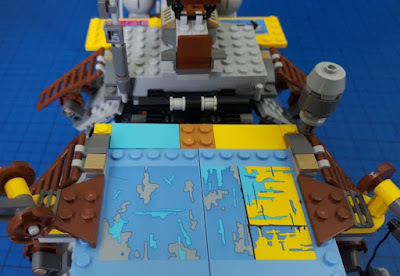 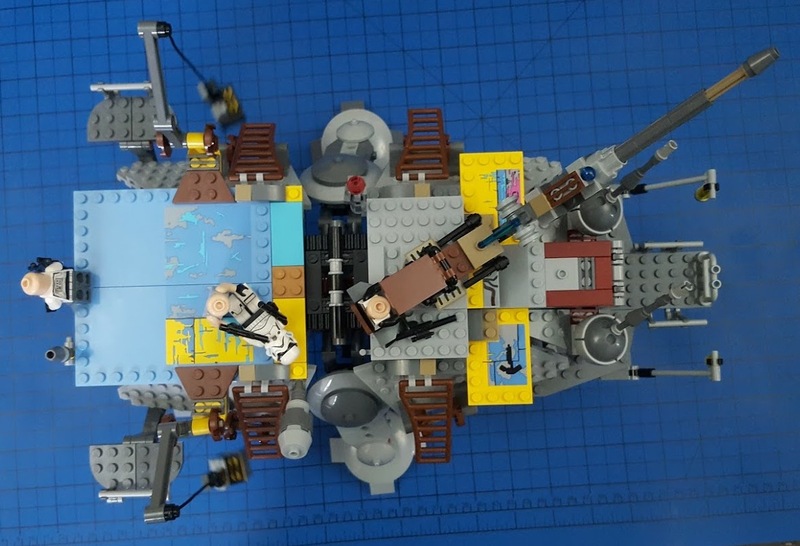 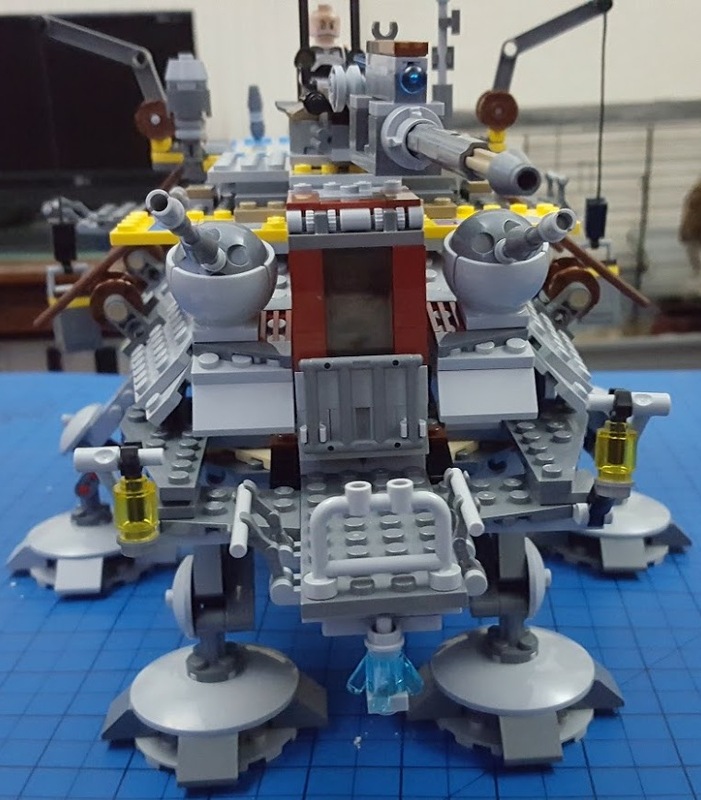 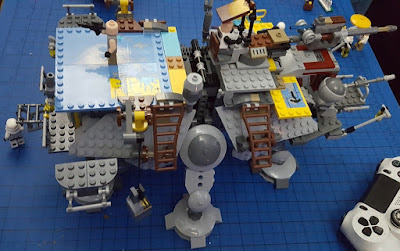 This is an age 9-14+ set, with 972 pieces in bags numbered 1 to 8, and it's a lovely build which is really rewarding. 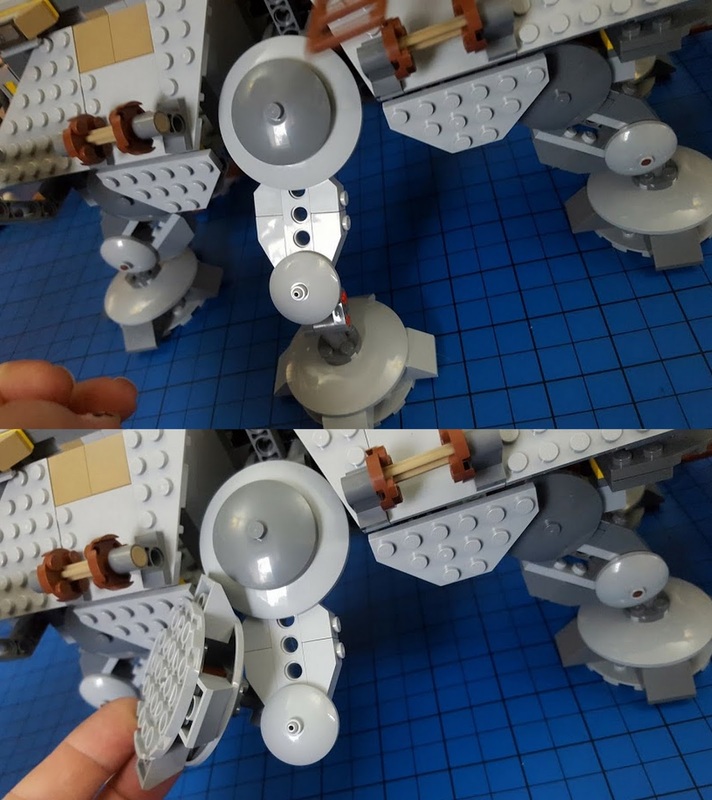 The main body is, as expected, quite dense and intricate, with absolutely loads of moving parts. The legs are very special, and actually well articulated. It's a pleasure to see the AT-TE really come to life, and it has it's own personality. 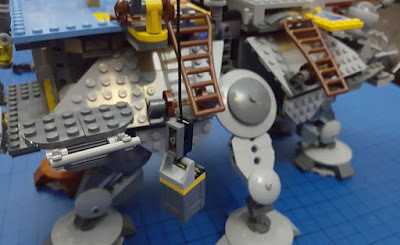 Bumbling and lumbering along, but definitely it has character. 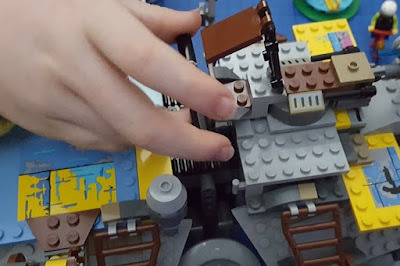 The map screens on the flat top surfaces are gorgeous, and along with the retractable ladders, opening front door, lowering/raising rear door and other features, really add to value - for play and shelf. A great feature is the retractable carrying handle. 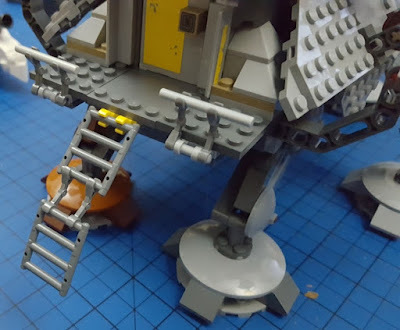 It would be a ridiculous model to try and carry otherwise, but adding a handle is a much bigger bonus for play value than for the modeller - it makes this a genuine flying toy. 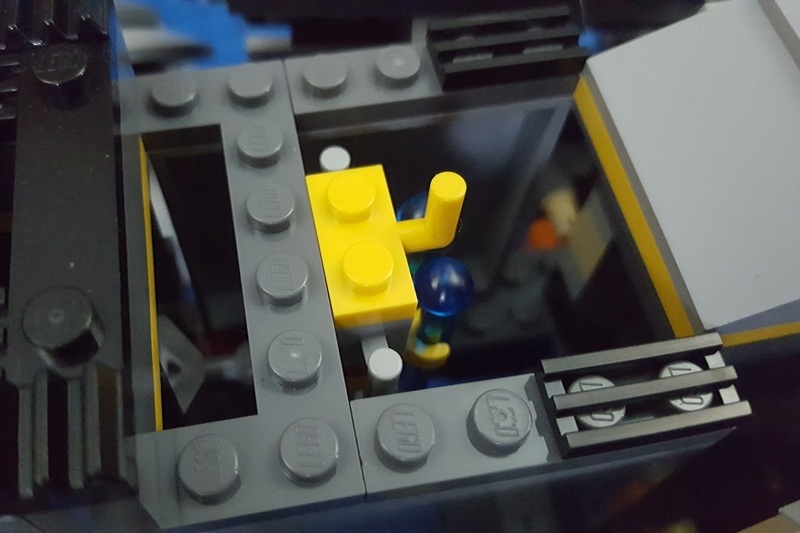 The handle is very well done, slots in beautifully and is barely noticeable when the model is complete. Inside the AT-TE is just as impressive, with a fairly large cabin for the crew, and the slide out chair for the driver up front, below the spring-loaded shooter on top. 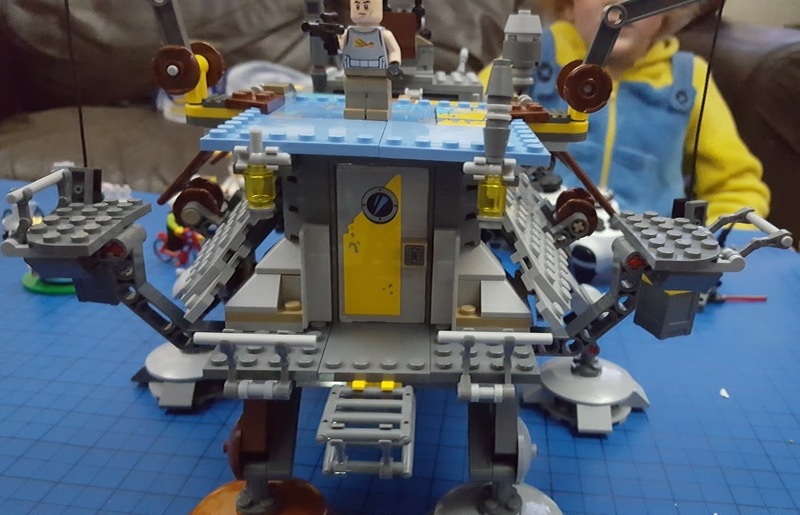 With the 5 included (and your other) minifigures this is a great play set which really fires anyone's imagination. 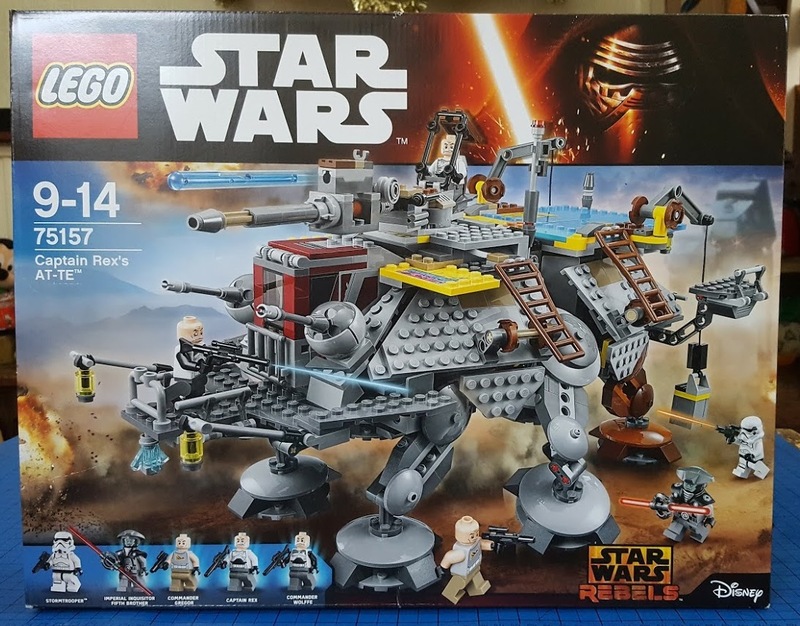 The AT-TE appears in several of the movies and this is actually the 2nd time LEGO have made one. 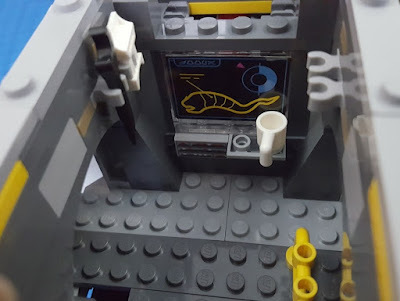 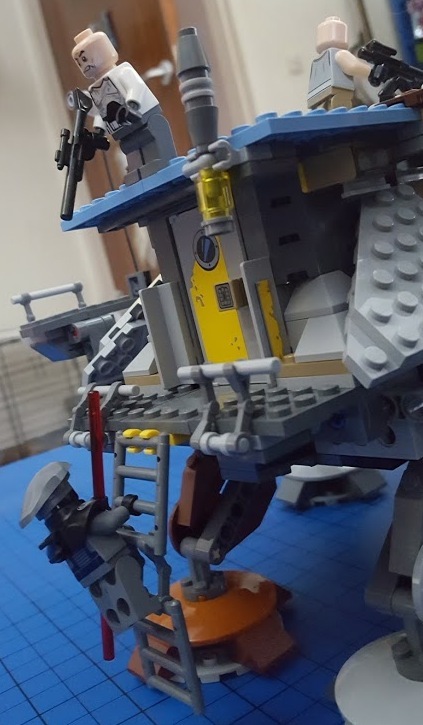 The retired AT-TE set 75019 was slightly smaller with different side panel construction, and definitely had less detail, and less to play about with. As well as the 2 seats on top for the gunner and at the front for the driver, there are two removable roof sections for ammo storage and to see inside the crew cabin. 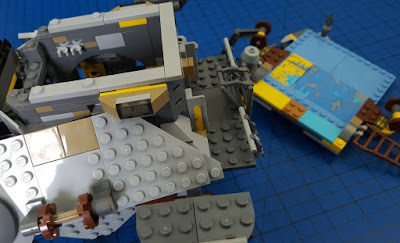 The opening rear door with retractable ladder and sniper platform is very sweet bizarrely, more reminiscent of a house than a vehicle, and gives a more accurate idea of scale. At each side are the cranes and you have two crates to lift up with your supplies, as well as ladders and bars to cling on to. Awesome to look at, classically 'Star Wars', and great for play, the LEGO Star Wars Captain Rex's AT-TEset 75157 is recommended for age 9-14+, has 972 pieces and is available to buy now rrp £99.99. 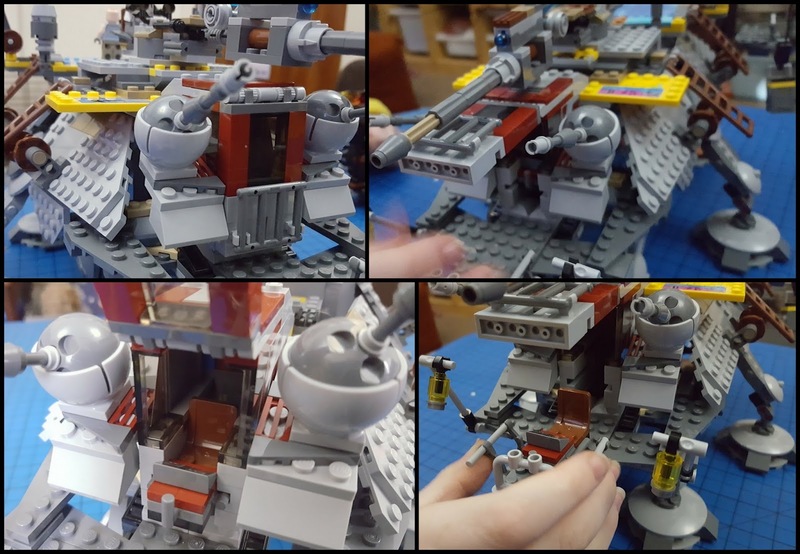 Ideal for any Star Wars fan aged around 7+ to play/8+ to build. 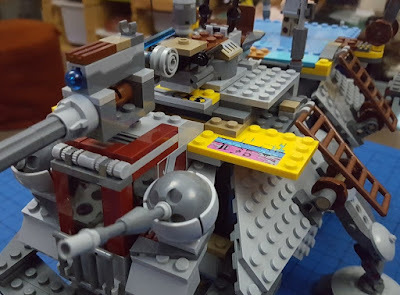 We were sent our Captain Rex's AT-TE LEGO set 75157 by LEGO for review.